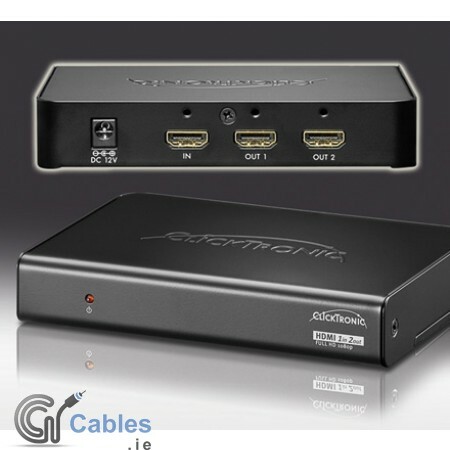 Clicktronic® HDMI Splitter 1 IN/2 OUT with 3D support and HDMI lock system - cascadable. With this professional HDMI SPLITTER you can play one connected HDMI source, e.g. a DVD, game console or satellite receiver, on up to 2 HDMI displays (LCD/Plasma) at the same time. 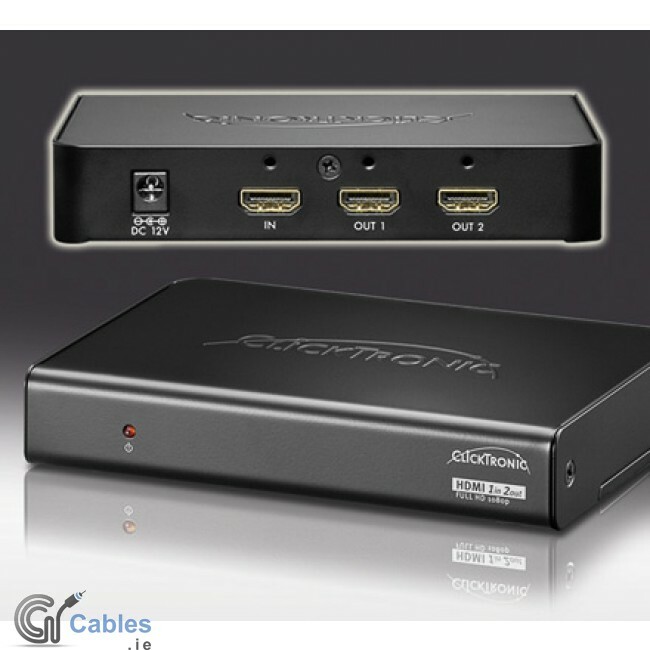 The HDMI SWITCH/SPLITTER guaranties the same quality for images and sound at all connected HDMI displays. Up to three HC HDMI SPLITTER (cascade function) can be daisy chained. Cable length between HC HDMI SPLITTER not to exceed 15 meters.